I’m an orchestral/operatic/choral conductor, composer/arranger, continuo player and theatre maker who also enjoys writing, educating and giving talks. Here you can see my upcoming events, and find my professional CV, some video and audio material of my work, as well as my musings about music, performance, LGBTQ+ issues and life in general. If you would like to work together, please contact Jennifer Spencer at IMG Artists UK. Contact me directly if you have any questions for me, and feel free to follow me on Twitter, Instagram and/or Facebook. 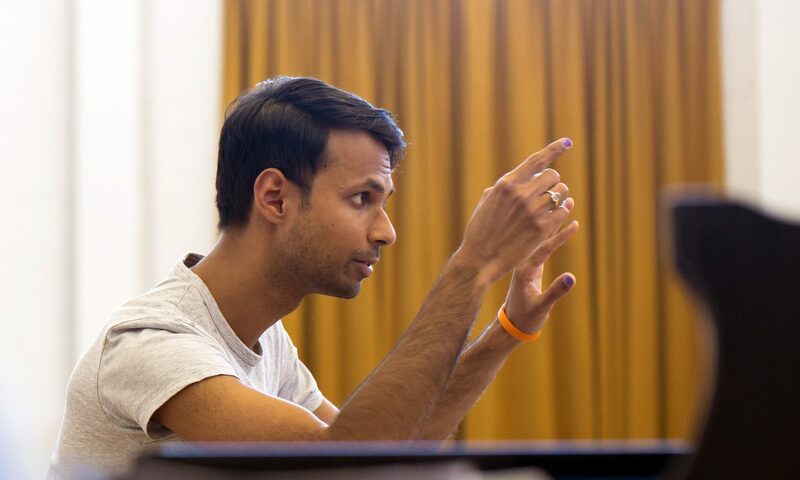 MANOJ KAMPS (Sri Lanka, 1988) held the coveted post of Junior Fellow in Orchestral Conducting at the Royal Northern College of Music in Manchester from 2015-2017. During this time he worked with the BBC Philharmonic, Royal Liverpool Philharmonic, Hallé Orchestra and Manchester Camerata, studying with Sir Mark Elder, Clark Rundell and Mark Heron.